Although AngularJs, Angular’s first version, is a few years old, it is still responsible for powering a lot of enterprise applications. It helps you build solid MVC applications by leveraging the dependency injection and single-responsibility patterns. There are a lot of tutorials and resources out there to help you get started with Angular but it's usually better to start with the official documentation. In this blog post, we're going to go through all the steps required to protect your AngularJs application, including setup, build process and compatibility with Jscrambler. The sample application we will be using is the Real World's example app. The first step in order to start protecting our application is setting up our Jscrambler configuration. 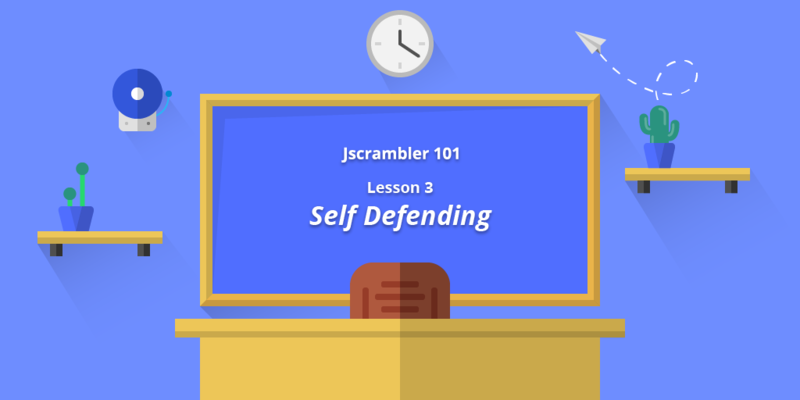 If you haven't used Jscrambler before please consider reading the getting started guide which will walk you through the steps on how to protect your application. 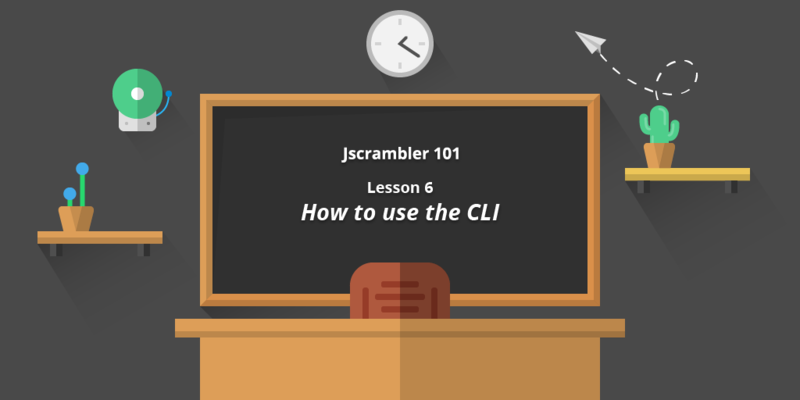 Reading the guide will teach you the core concepts of how to interact with Jscrambler and will make some parts of this article easier to reason about. To protect our application, we will be using the following configuration, which is based on Jscrambler's Obfuscation default template. Create a .jscramblerrc file at the root of your project and paste your configuration. Don't forget to fill out which Jscrambler version you wish to use, as well as your application's Id and API keys. You should be able to verify that our app has a gulpfile.js which is responsible for our app's build process. Jscrambler offers a gulp plugin which we can leverage in order to integrate Jscrambler in our app's build process. Upon inspection, we can notice that our package.json file doesn't include any scripts. Npm scripts are an easy way of interacting with our application, so let's create two scripts, a dev and a build script, which will allow us to run our app in development mode and build our production assets, respectively. The dev script will run our default gulp task, which triggers a build of the app and watches for changes. The build script will build our assets for production and place them in the dist directory. To protect our application, we're going to have to make some changes to our gulpfile. We can observe that our build task pipes the contents of the build directory, uglifies them and places them in the dist directory. Since Jscrambler already offers minification features in the form of the identifiersRenaming and whitespaceRemoval transformations, we don't need to uglify our main.js file. So we can replace the call to the uglify gulp plugin for the Jscrambler plugin and remove the UglifyJS plugin from our project's dependencies. Since Jscrambler reproduces the file structure of the input directories, it will place the build/main.js file on dist/build/main.js. Our index.html file is requiring the dist/main.js so our application will be broken. "build": "gulp build && mv dist/build/main.js dist/ && rm -r dist/build"
Now, in order to run our application, we need an http-server. Let's install a package which lets us create one and add a script to run our application. "start": "cd dist/ && http-server -o"
You AngularJs app may break when using the identifiersRenaming transformation since the transformation will rename some of the identifiers which begin with the $ character such as $scope or $stateProvider. To work around this issue we have two options. By doing this refactor, we don't need to use an excludeList. To work around this issue, all we need to do is to convert our function declarations into variable declarations with function expressions. We've reached the end of this guide. 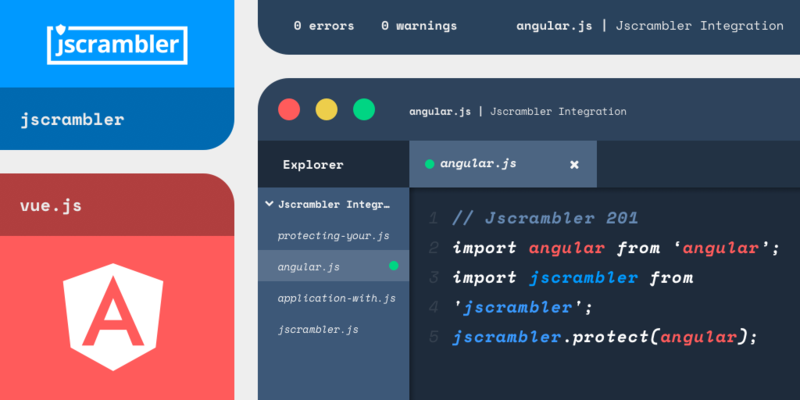 Now you know how to protect your AngularJs application by integrating Jscrambler into its build process which will make your application safe and secure. You've also learned how to work around issues which you may encounter when using Jscrambler with Angular. Jscrambler's Blog offers a lot of Angular content which can help you build Angular applications. Follow this link to check out more of our Angular tutorials.